Ready to set yourself up with some great pre-event advertising? Pass colorful Volleyball Sun Rays Club Flyers out to all your fans, and give them the heads up on your next sporting event! 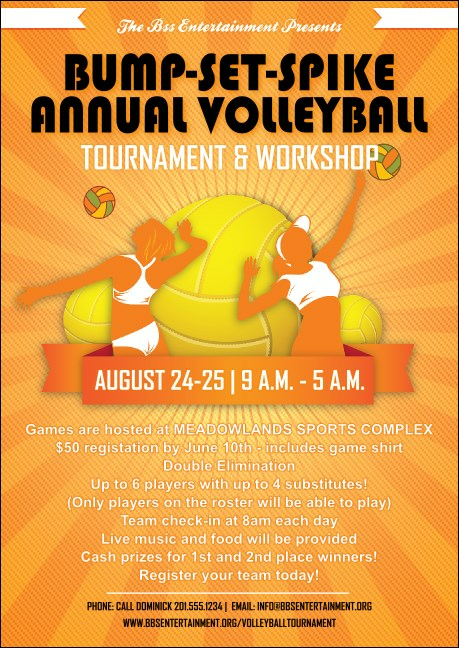 With a pretty orange patterned background and three bright yellow volleyballs front and center, these Club Flyers are sure to serve you well.